Is rational-emotive therapy (RET) “rationalist” or “constructivist”? Mahoney, Guidano, and other modern constructivists and process-oriented therapists are partly on the right track and are making some interesting additions to traditional cognitive therapy. But they sometimes also revert to inefficient and side-tracking psychoanalytically-oriented methods of therapy. 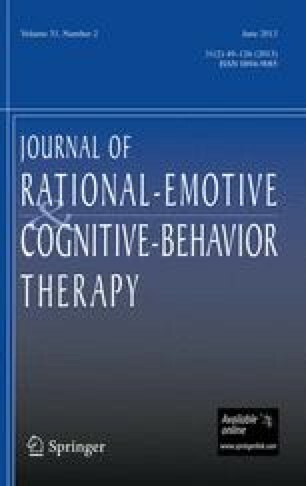 RET, in both its individual and family therapy approaches, attempts to use the most effective and hardheaded of the so-called rationalist methods—including active—directive changing of unrealistic and irrational Beliefs, skill training, problemsolving, bibliotherapy, in vivo desensitization, and reinforcement procedures-and it also employs many of the methods of the cognitive constructivists—including the disclosing of tacit philosophies; the achievement of a profound philosophical change in clients' attitudes toward themselves, toward others, and toward life situations; the use of the therapist's relationship with clients to show them how to unconditionally accept themselves; and the employment of many dramatic, emotive, and experiential exercises to change clients' feelings as well as their thoughts and behaviors. RET is particularly interested in effecting both individual and familial change as quickly and as efficiently as feasible. It is therefore rational (efficaciously hedonic)and emotive (energetically experiential). Or at least tries to be!